New rules in Ontario will affect free tuition for low-income students. As well, it will allow post-secondary students to opt out of various fees — which fund campus groups, student newspapers and clubs. Doug Ford’s Conservative government has been campaigning recently under the slogan, “For the Students,” which appeared on recent podium stands. But, according to Trina James in a Maclean’s article, “Doug Ford does not represent—nor does he care for—the students of Ontario. In her article, James also lists some post-secondary services that are provided through student associations. What could this mean for Alberta? If Alberta were to elect a conservative government in the 2019 election, would there be similar policies put in place here? Jason Kenny’s United Conservative Party (UCP) seem to be interested in a similar policy and take on student associations in Alberta. A UCP policy convention took place on April 16, 2018 and saw similar views on post-secondary students being able to opt out of various fees. 89.7 per cent of attendees agreed or strongly agreed with this statement. What would this mean for SAMRU? At Mount Royal University, the student association is SAMRU. The student association resides in Wykham House on campus — which is home to the Hub, the Peer Support Centre and the Pride Centre amongst others. 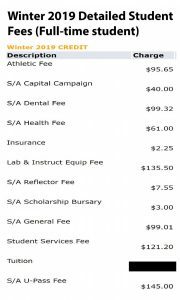 Possible new legislation could mean some of SAMRU’s services could be cut if students decide not to spend fees on certain aspects. This would encourage the freedom to choose to be a part of the student association or to opt out of certain fees that help run and operate various services. 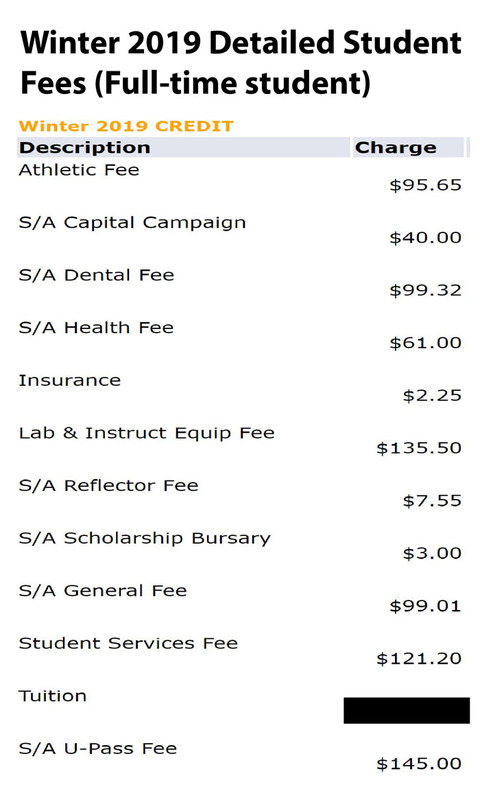 If you want to know how much you are paying for student association fees, you can see it in your detailed fees on MyMRU. But, for the UCP’s specific policy to pass, they will have to win this years election and likely, this issue will be brought up later down the line — although it only took Ford’s government eight months to introduce these new rules.